July's Color of the Month has us feeling all the love! Rose Quartz is a color that brings out the romance and femininity in everyone. However, no longer just reserved for baby girl nurseries, it has now found its way into chic and sophisticated applications. From cafes and kitchens, to master bedrooms and lobbies, Rose Quartz is proving that a one-time "girls only" color can be for nearly everyone and everywhere! We are loving the softness and warmth that Rose Quartz can bring into a design and are excited about how truly versatile this beautiful color has become! It’s starting to feel like spring is finally here to stay! This month, we’re loving this vibrant shade of green to help bring the beautiful colors of the outdoors in. This vivid green can really brighten up your space, whether it’s with some new plants in your window or a couple of new throw pillows and accessories. Make your home the dazzling nature retreat you dream of! We are starting to see a lot more green in nature recently, and we love bringing the outdoors in. An interior is never quite finished until it has that final touch of greenery. Spring is officially here, and we are ready to break out those bright colors! Cactus Flower makes for the perfect statement piece. We love adding a custom pillow or rug in this vibrant color to add warmth and excitement to our client's homes. April has us eager for warm weather and bright colors. We are working on some exciting new construction projects, so hopefully, we are almost done with cloudy days! 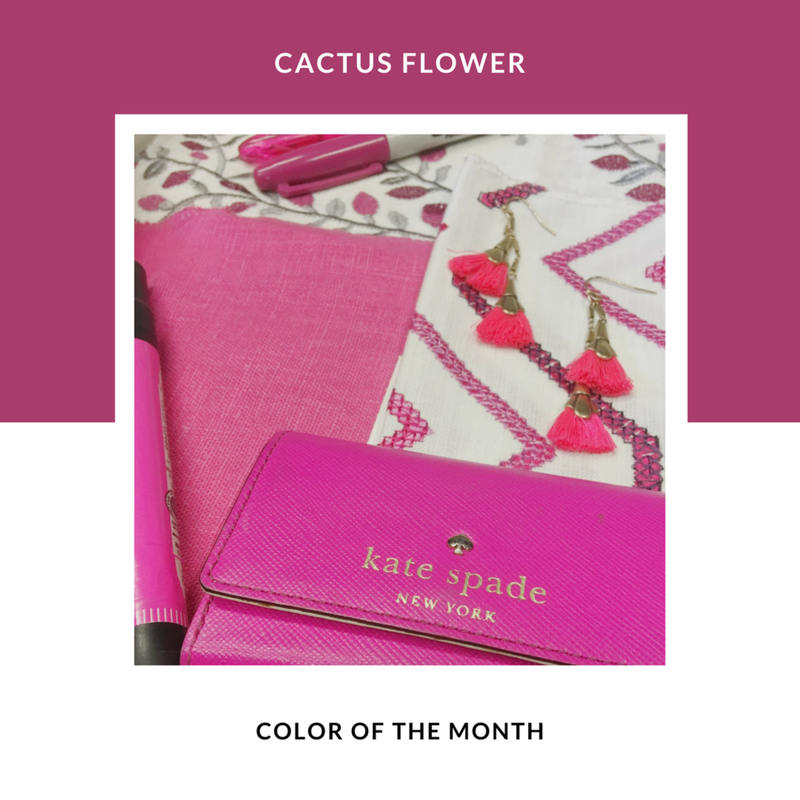 Oh, and be on the lookout for more Cactus Flower inspiration in our Instagram & Pinterest pages throughout the month.